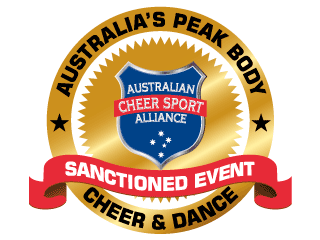 The AASCF All Star Battles held in SYDNEY NSW, GOLD COAST QLD and MELBOURNE VIC, have become the “MUST DO” events for cheer teams from across Australia due to teams get to compete twice at their designated Battle. 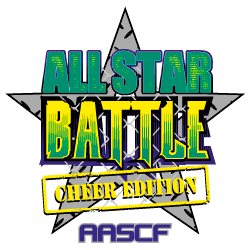 Many Cheer teams chose to compete at interstate Battles and make it their destination Championship for the year. The ‘compete twice’ status makes it more viable coupled with the great depth of Cheer competition they are guaranteed. All teams compete twice, 30% of Day One’s score is added to 70% of Day Two’s score to determine the winners of each division. Novice, Tiny and Primary/High School only compete once on the Friday Night or Saturday morning for half the entry fee. There is no Stunt offered at Cheer Battle. 1st, 2nd and 3rd place BATTLE medallions to all placed athletes in teams. We award placing Banners to 9th place in all team sections. Grand Champions in all levels, receiving the MASSIVE Battle trophies. Australasian Pinnacle Bids awarded in every level. Participation banners for all athletes and clubs. Performance on a 9-run sprung floor. Free professional photos & videos for all athletes and coaches. Coaches get full use of Point Review, being able to challenge not only their deductions, but difficulty in preparation for Day 2’s performance. Coaches then complete 'Routine Change Forms' to assist in the judge’s awareness of the efforts coaches and teams have made overnight.